Another treasury pouch. I already told you about my passion about those little bags here. 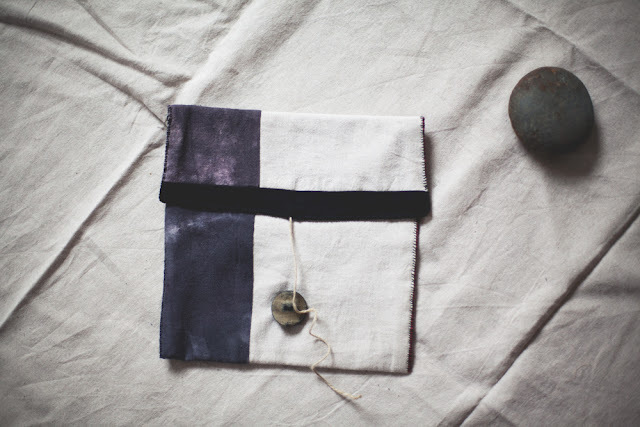 I collect leftover fabrics to create those pouches and sometimes I cut off a piece of a larger fabric (like I did here with the linen fabric you can see in the background). 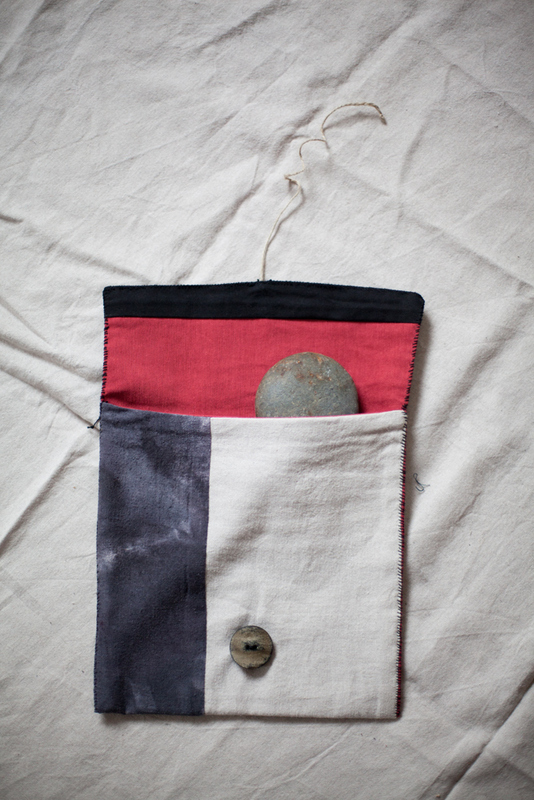 For this pouch I also used a leftover piece of hand dyed bourrette silk and some black and red cotton leftovers. The single fabric pieces are sewn together with the machine, the rest was stitched by hand.